The International Justice Clinic works with international activists, NGOs and scholars to develop and implement strategies for the protection of human rights. In 2014, Clinic Director David Kaye was appointed the UN Special Rapporteur on the Promotion and Protection of the Right to Freedom of Opinion and Expression—the organization’s chief monitor of freedom of expression trends and abuses worldwide. Clinic students support the Special Rapporteur’s work by investigating major attacks and challenges against free expression and related human rights, in areas such as digital censorship and surveillance, hate speech regulation, threats against journalists and activists, and the erosion of artistic and academic freedom. Clinic students pursue research, conduct on the ground fact finding in cross-cultural settings, engage in coalition building and multi-stakeholder dialogue, and prepare policy documents and recommendations. Clinic students also engage with local activists to explore specific country situations, and help develop regional networks of defenders committed to free expression. The clinic was named one of the Top 15 Most Innovative Clinics in the country by National Jurist's preLaw magazine. In November 2016, two clinic students accompanied Professor David Kaye, clinic director and UN Special Rapporteur on the Promotion and Protection of the Right to Freedom of Opinion and Expression, on a fact-finding mission to Turkey. The goal was to assess the freedom of expression situation in the country in the wake of an attempted coup and a series of terrorist attacks, and amidst an alarming crackdown on civic space and public discourse in the country. Clinic students participated in meetings with government officials in Ankara, as well as meetings and interviews with journalists, activists, writers, artists, lawyers and imprisoned individuals in Ankara and Istanbul. Clinic students also conducted research to prepare the Special Rapporteur for his mission, and helped draft oral and written statements summarizing preliminary findings. Students also contributed to the final report presented to the UN Human Rights Council, which detailed the deteriorating conditions for freedom of expression in the country and recommendations to the Turkish government based on their obligations under international human rights law. 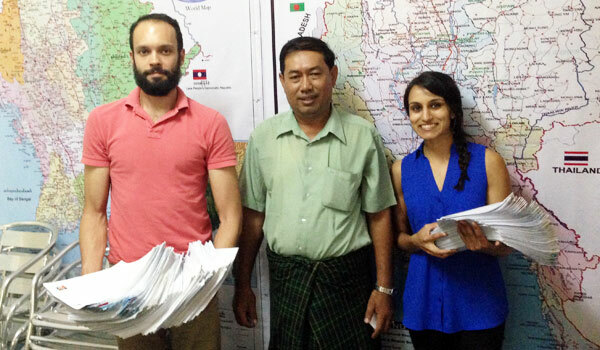 Former Political Prisoners in Burma/Myanmar: The Clinic laid the ground work for long-term engagement with lawyers, educators, former political prisoners and activists in Burma/Myanmar in 2013 and 2014. The Clinic has been collaborating with the Assistance Association of Political Prisoners (Burma) to develop a survey of former prisoners’ needs and the harms they suffered over years of detention. Human Rights and Los Angeles County: The Clinic has launched an innovative collaboration with the Los Angeles County Human Relations Commission. The United States is party to several major human rights treaties, but those treaties are rarely implemented at the state and local level. As part of an effort to make human rights an explicit element of L.A. County work, the Clinic is reporting on how local governments already implement human rights law. UN Security Council and the International Criminal Court: The Clinic has studied the relationship between the Security Council and the ICC, advocating for concrete ways to improve support for the Court. Clinic students participated in project design, interviews and preparing reports that provide information and suggested measures. The Clinic hosted an international conference on the subject in late 2012 and released a major report in the spring of 2013. In March 2014, Clinic faculty and students traveled to China to continue discussions at an international workshop, co-sponsored by the Clinic, where scholars, judges from the ICC and the war crimes tribunal for the former Yugoslavia, Chinese foreign ministry officials, research analysts and other leading figures discussed the Council’s role in international justice, regional organizations’ support, and Russian, American and Chinese policy toward international justice. Project on Direct Participation in Hostilities: Students worked in collaboration with the Washington, D.C.-based Center for Civilians in Armed Conflict, conducting research to assess civilian understanding of when they become “participants” in armed conflict and thus subject to detention, targeting and other measures. Students and faculty conducted interviews in Northern Ireland in 2013 and completed a report in 2014.